Xiaomi has already released two flagship devices this year, the Mi Note and Mi Note Pro phablets. The Mi Note Pro is the higher-end of the two, and it is powered by the Snapdragon 810 64-bit octa-core SoC, while it also sports 4GB of RAM and a 5.7-inch QHD display. The Mi Note and Mi Note Pro are identical in terms of the design, but sport a somewhat different specs on the inside. Both of these phablets were announced back in January, and consumers are eagerly expecting this Chinese smartphone OEM to announce their annual flagship, the Mi 5. We’ve already seen quite a few rumors regarding this smartphone, and even the Mi 5 Plus was mentioned on several occasions. Some rumors were claiming that the Mi 5 might launch next month, in August, while others have been saying it won’t arrive until November. Same can be said about the Mi 5 Plus actually, but it’s almost certain that handset will launch after the Mi 5. 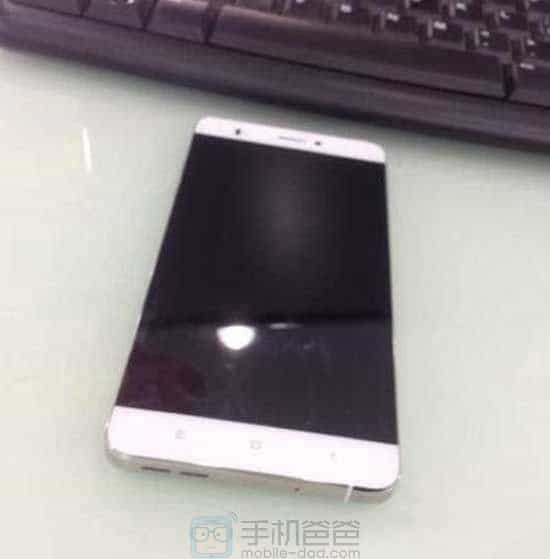 That being said, the alleged Xiaomi Mi 5 smartphone has surfaced in China. 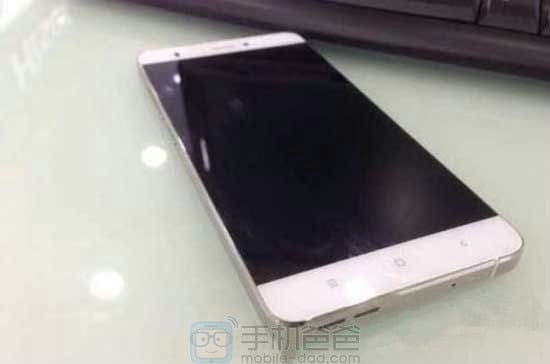 If you take a look at the provided images, you’ll notice a rather sleek looking smartphone, and the source claims this is the Mi 5. This thing definitely resembles the Mi Note, but unlike the Xiaomi’s phablet, it doesn’t seem to sport any bezel on the sides. It is possible that the device has some black bars on the sides though, we can’t be sure considering the display isn’t turned on here. Either way, the phone looks really sleek, and sports three capacitive buttons below the display (menu, home and back), like basically every other Xiaomi smartphone. The leaked Mi 5 seems to have dual speakers down below, though it is possible we’re looking at only one speaker which is designed in this way. What about its specs? Well, we’ve seen a lot of rumors touting all sorts of specifications when it comes to this device. Unfortunately, those rumors were contradicting one another, but the Mi 5 will quite probably be powered by the Snapdragon 810 SoC, and pack in 4GB of RAM on the inside. The phone will probably feature a 5-5.2” QHD display, while you can expect it to sport either a 16 or a 20-megapixel camera on its back. The phone will include metal materials in its build, but it remains to be seen if this will be a metal unibody handset or not. We’ll report back as soon as something new pops up. 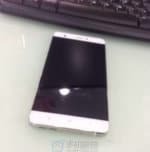 The post ‘Bezel-Less’ Xiaomi Mi 5 Shows Its Face In Leaked Photos appeared first on AndroidHeadlines.com |.